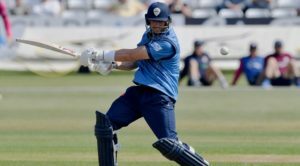 Derbyshire’s Second XI fixtures for the 2019 season have been announced, with four matches to be played at The Pattonair County Ground this summer. The Seconds begin with a three-day friendly away to MCC Young Cricketers, starting on Tuesday 9 April, before Derbyshire play their first home Second XI match of the summer at Ticknall CC against Lancashire in the Second XI Trophy on 23 April. 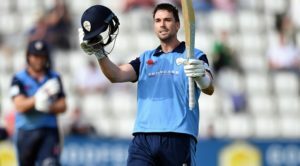 The Pattonair County Ground will then host the first of four fixtures at Derby on Wednesday 1 May as Derbyshire face Nottinghamshire in the Second XI Trophy, before the two sides meet again in a three-day fixture, starting on Monday 10 June. 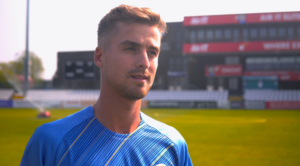 Derbyshire will then play two further fixtures in Derby, a Second XI Championship match against Durham which begins on on Monday 13 May, and the Second XI Twenty20 opener against Warwickshire on Friday 12 July. All four Second XI fixtures at The Pattonair County Ground will be free entry for spectators. The Second XI will then finish the competitive season with two matches against Northamptonshire over a four day period. The teams will meet for a three-day fixture at Hem Heath CC on 5 August, before playing the final Twenty20 Cup match on 8 August. Click HERE to view a full Second XI fixture list.